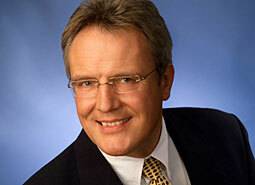 Stephan Klauer (graduate physicist, Ph.D., European Patent Attorney, certified coach) was born in the year 1961. He studied physics with side subjects mathematics and informatics at the University of Kaiserslautern (DE) “with commendation” and put emphasis in the fields of optics, laser optics, atomic and molecular physics. He obtained his conferral of a doctorate and Ph.D., also “with commendation”, as well as a promotion reward from the University society from the University of Osnabrück in the fields of solid state physics, optical, infrared and Raman spectroscopy, electrical conductivity measurements, non-linear, electro- and magneto-optics. Dr. Stephan Klauer worked in the research laboratories and plans of Philips in Aachen (DE) as well as Eindhoven and Roosendaal (NL) on the development of light display devices and light sources in the fields of optical measurement technology, luminescence, cathode ray tubes, fluorescent lamp and process technology. He gained experience as a software developper in the fields of cost accounting and material accounting at SAP headquarters in Walldorf (DE). Lateron, he worked in the laboratory supporting the global oil and gas exploration and production activities of the Shell company in Rijswijk (NL) in the fields of satellite and airborne remote sensing systems, fluid mechanics, geophysics, reservoir simulation and data integration. During his collaboration with the Shell company, Dr. Stephan Klauer began his specialisation in the field of industrial property in 1999 and transferred to Shell’s patent department (Shell Intellectual Property, The Hague (NL)). He served inventors in the fields of oil refining, measurement and process technology. Thereafter he worked in the patent department of Giesecke & Devrient (Munich, DE) in the fields of security technology and bank note manufacturing and processing. In 2000, he joined the famous French patent law firm Bureau D.A. Casalonga-Josse (Paris (FR) and Munich (DE), where he enjoyed a well-founded training and practice as a patent specialist and prepared for the examination qualifying for representation before the European Patent Office. 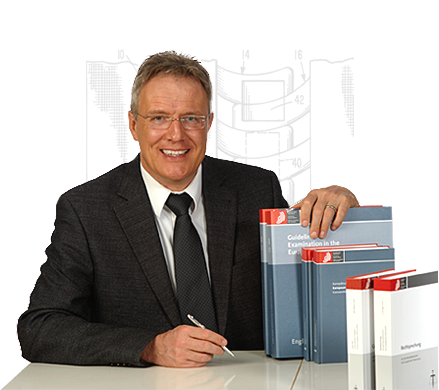 In the year 2004, Dr. Stephan Klauer became independent and established the company SK-Patent. Since then, he serves own clients ranging from individual inventors to international firms, and cooperates with well-known patent law firms, where his broad and sound technical knowledge and his capacity as a patent attorney are much valued. Dr. Klauer speaks fluently German (mother tongue), English, French and Dutch. Dr. Stephan Klauer is member of the Institute of representatives before the European Patent Office. From 2001 to 2006, he successfully completed as a side occupation a formation as a certified coach at the CoachingAcademie® (Bielefeld, DE). He has three sons. In his leisure time, he enjoys dancing argentine tango, likes walking, hiking, jogging, swimming, relaxes by wellness and cooking, and rides a motor bike.